What better way to check out tomorrow’s 70.3 triathlon course than in a helicopter? 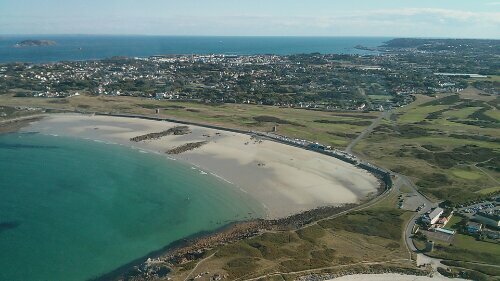 The photo is of Pembroke Bay, where the swim will take place. You may be able to make out transition too.